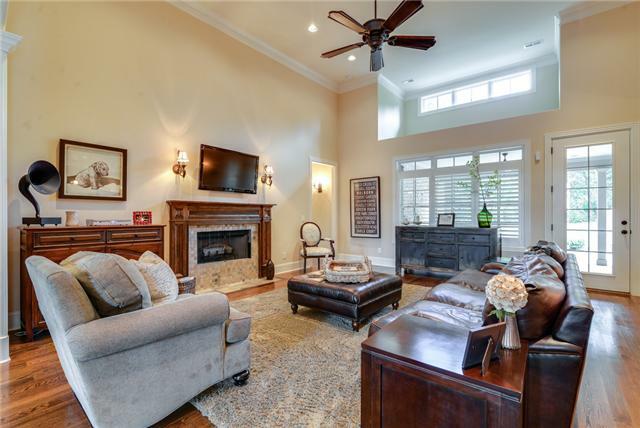 The home at 1642 Sunset Park Drive is a sight to see and is perfect for you and your family. 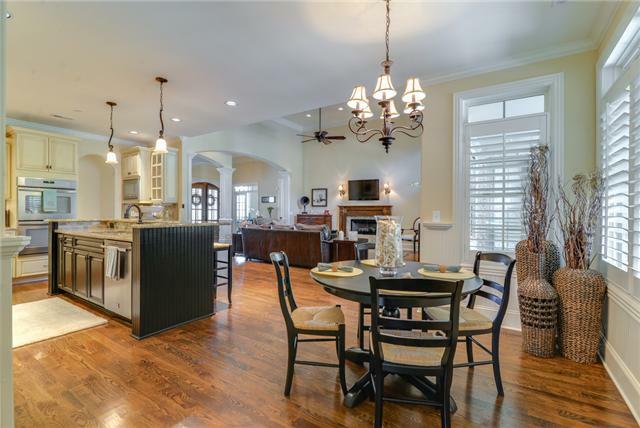 Priced just right at $575,000, this Sunset Park home in Nolensville has everything you and your growing family need – two stories, four bedrooms, three and a half baths, a three-car garage and 3,724 square feet to enjoy each other in. The home was built in 2010 and everything about it is gorgeous. 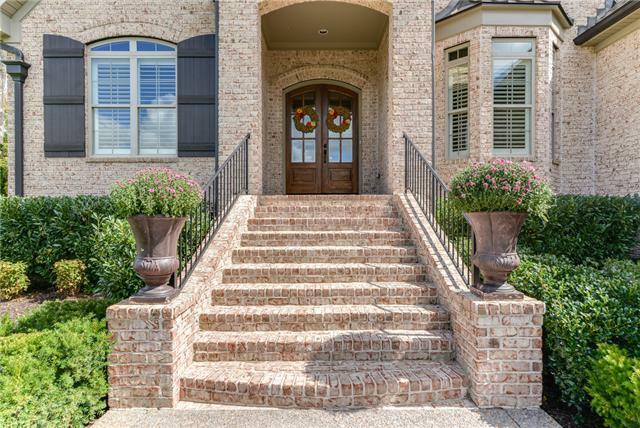 The landscaping, the light color of the bricks mixed with the plantation shutters, well-appointed brick staircase entrance, and dark wood French front doors, allowing in loads of natural light. All of it is just the entryway to your new home. 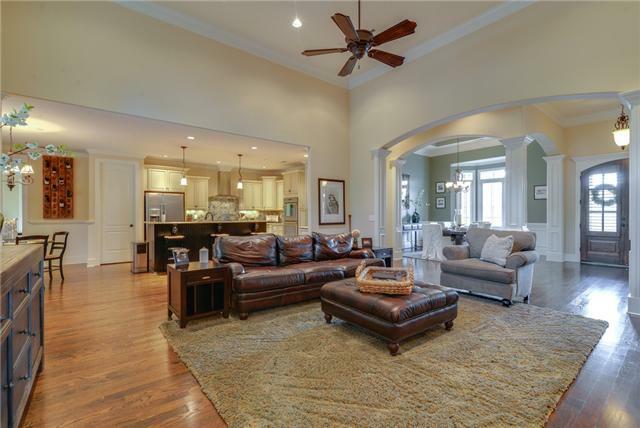 The home has an open floor plan and features deep, rich brown hardwood floors. Starting in the foyer, youell see the great room ahead of you, the office to your left and the dining room to your right. The office has French doors and custom built in bookshelves. 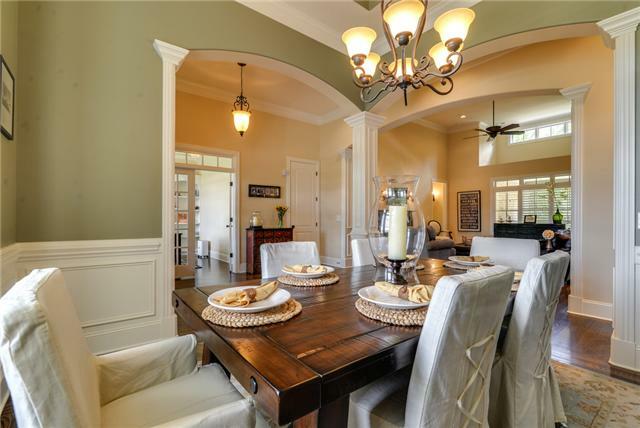 The dining room has wainscoting and you can admire the view of this beautiful house as you eat. The great room truly is great. Therees not only a fireplace but also a volume ceiling. It is a massive room that opens to the kitchen and dining room. Youell want to spend all your days relaxing and enjoying life in this space. The kitchen continues in sync with the open floor plan. Therees a center island with seating for three. The appliances are stainless steel. The cabinets, slightly different than the rest of the home, are a cream colored wood. Youell be able to entertain easily in this home cookes dream. 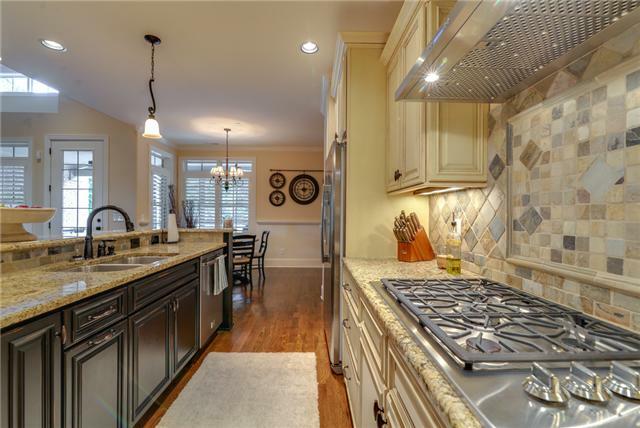 There are double ovens, a gas range, granite countertops and a double sink. And, of course, youell do it in style, with a gorgeous tiled backsplash along the kitchen wall. The master bedroom is a real retreat. There is a trey ceiling and recessed lighting. It has its own seating area, a private master bath and walk-in closets, his and hers sinks and a Jacuzzi tub. 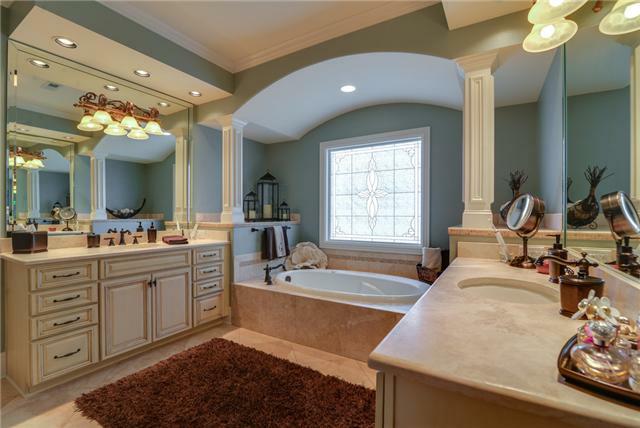 It is a regal, soaking area with columns flanking the tub and an etched glass privacy window. 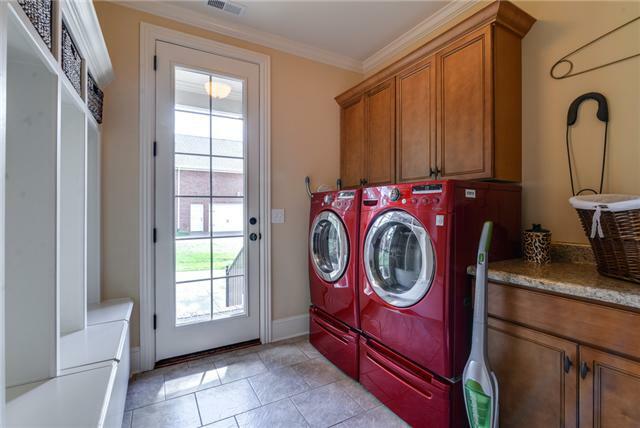 The laundry mudroom is perfect for your children. There are cubbies for any sports supplies and cabinets, low and high, for cleaning products. Planning your life around this home will be easy. And to top it all off youell be able to end your day on your back patio, sitting in front of your wood-burning fireplace. 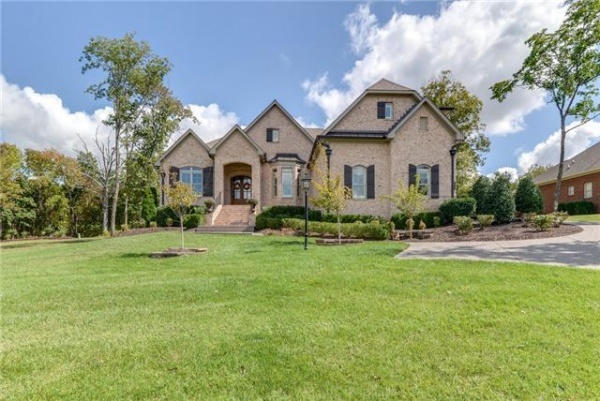 The home is zoned for Sunset Elementary, Sunset Middle School and Ravenwood High School. 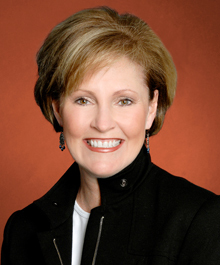 Ann Skiera of Zeitlin & Co. Realtors is selling the home. For more information, contact Skiera at (615) 584-4085.